Althea and Landon have been friends since childhood and are near inseparable, but the clock is ticking and pressure is building from their family to find their destined mate and finally commit. Althea knows that her and Landon are not naturally destined to be each other’s mate, but can fate be changed in the quest for true love? Everyone knows of Alpha Kaden, a man of twisted riddles and cryptic puzzles. His identity is one of them. His touch, another. He is feared throughout all 13 packs for his reputation of stealing young women out of their beds. And tonight he has come to steal Mara to make her a player in his wicked game. 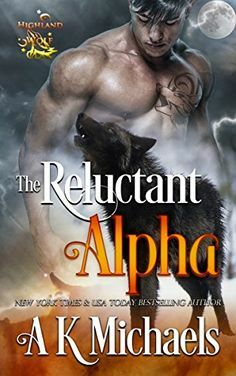 Lexia has been an unwilling member of the Vengeance Pack since she was kidnapped by Alpha Kaden at the age of thirteen. Previously a member of the Discipline Pack, she now plans an uprising to take down the Alphas and unify the 13 Packs. Dark stories of the Devotion pack’s haunting from the terrifying undead Phantom Wolves have circulated for years but Thea had never believed the rumors. 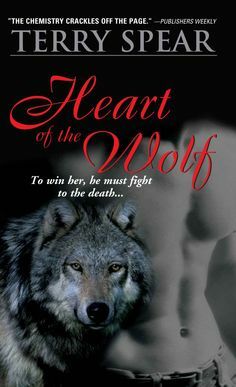 That is until she met Jasper; the confident and magical missing Alpha of the pack and newly reincarnated Phantom Wolf. He also happens to be her destined mate. I get out of the shower, turning the water off after me. As I wrap my towel around my body, I try to dismiss all paranoid thoughts. The shadow was probably just a figment of my imagination. I am known to have a strong one. Kaden really isn’t someone who usually influences my nightmares. I’m fully aware of the threat he poses to me and my family, but I can’t bring myself to fear him in normal circumstances. Yet today, for some reason, the chill dancing down my spine confounds my assumptions. Wearing just my towel, I stand in front of the mirror and inspect myself. My hair looks brown when it is wet, but it is actually a muted blonde. I look pretty much like every other Purity Pack member. My blue eyes are duller than most people’s maybe. My skin is paler, and my cheeks have hardly any color at all. These must be the reasons why no boy has wanted to date me. There are always better options. I still love myself, though. I have no other choice. A loud crash of thunder from outside makes me squeal with fright. I thank the Moon Goddess that the curtains block out the full brightness of the lightning. I dry myself and go back into my room, where I change quickly into my night things. Then I turn the lights out and hop straight into bed, with the covers pulled right up to my chin. I just want to sleep this storm away and carry on tomorrow without any Kaden plaguing my thoughts. But the more I try to get comfortable in bed, the harder it seems to banish him from my mind. My inner vision is clouded by strange shadows. I am just about to doze off to the sound of the rain splattering against my window when I feel a hand slap over my mouth. I have never been taught self-defense and any idea of what to do deserts me. I swing my arms wildly but find myself in someone’s firm and unfamiliar grasp. I struggle as hard as I can while screaming into the hand, even though the sound is muffled. I kick as I am pulled up and out of my bed. I feel someone applying pressure to my neck and for a second I think I am about to die of strangulation. Well, I won’t go without a fight! My legs are the only weapons that I have. I lash out, trying to connect with my captor’s ankles. But each time I miss and meet only air with my bare foot. And that soft, male voice is the last thing I hear before I black out completely. 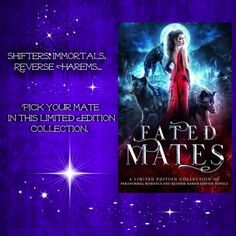 Three gripping paranormal romances in one red-hot volume that will save you $$$! Cole Harper stood before the swinging saloon doors for a good minute. Maybe two. The sun had set, and the air had that crisp, cool quality it only got in high-altitude Arizona and only on spring evenings, when everything felt fresh and budding and new. Sounds and smells from the saloon clawed at his shoulders, begging him to come in. Laughter rang out and chairs scraped along the floor. Country music poured from the jukebox, and a couple was starting to dance. The bartender thunked down an empty glass, poured a shot of Jack Daniel’s, and slid it all the way down the bar. All that, he got without looking, just listening. Christ. What was wrong with him? Cole kept his thumbs hooked in his jeans and hunched his shoulders, trying to resist the urge. Scents assaulted him, one after another in a thousand little punches. The peaty scent of aged whiskey, the charcoal flavor of a malt. The mouthwatering smell of spare ribs smoked over mesquite. His tongue darted out to lick his lips before he could stop it. He’d been hearing that inner voice for a while now, and it was driving him nuts, like the itch on his arm. He’d been cut two weeks ago — a little bitty cut sustained in a fight in this very saloon, when he’d come along just in time to stop a couple of thugs from jumping the two waitresses. Unbelievably strong guys with weird, clawing nails he’d managed to avoid, except for that one scratch. The skin had healed now, but the itch remained. An angry growl built in his throat at the memory of the intruders then faded away when he realized the sound was coming from him and not some passing dog. Jesus, he was growling, now, too? He coughed it away. Squared his shoulders, pushed the saloon’s swinging doors wide, and marched in, letting them swing behind him. He took off his hat, glanced in the mirror next to the sign that read, Check your guns at the door, and ran his fingers through the blond hair that curled and feathered to a point somewhere beneath his ears. Then he headed straight for his chair at the end of the bar. A chair some fool was occupying, which made the growl build in his throat again. The inner voice was ridiculously territorial. He clenched his fists, telling himself he would not pick a fight. Telling himself it didn’t matter who was sitting in which chair. Except that fool sitting smugly in his chair needed to get the hell out. Now. “Hey, Cole.” A voice like honey stopped him, and his head whipped around. And just like that, the tension strung through his body like a thousand-volt current dissipated. The sights and sounds and smells of the saloon faded away, and he was standing in a mountain meadow. It sure felt like that, anyway. Janna! Janna! The growl turned into a joyous inner cry. She had her hair in two braids today, a perfect match for her bubbly, little-girl energy. Sometimes she wore it down and let it sway around her face like a liquid frame. Other times, she did this complicated braid thing he dreamed of slowly unraveling and running his fingers through. And sometimes, she just wore a ponytail, and he liked that, too. He liked everything about Janna. A lot. Her laugh, her smile, her way of tilting her head to listen when he whispered in her ear. He’d liked her since the day he’d first set eyes on the freckled spitfire who’d started waitressing in the saloon not too long ago. Janna always had a sunny smile and sparkling eyes and a chipper voice. Her bouncy step and glossy brown hair were just as full of life as the rest of her. She had a way of looking at him as if she could see into him, and she didn’t even seem to mind what she found. He tightened his fingers over his belt and ordered them to stay there. Because liking the vivacious waitress had slid right over to lusting for her in the past couple of weeks. Like he’d slipped and hit some dial that turned the testosterone up full blast. All he could think of was her. Or rather, him and her. Close. Unbridled. Uncontrolled. Which didn’t make sense. He’d been there, done that with spunky cowgirl-types who could ride and rope and wrangle. What exactly did Janna have that turned on every switch in a burned-out cowboy like him? Everything. She has everything. She is everything, the inner voice sighed. When he could think straight, it scared him. But he couldn’t think straight around Janna. She was all the girls he’d ever loved, times fifty. Times a hundred. A thousand. She made him imagine all kinds of crazy things, like standing knee-deep in wildflowers in a meadow in spring. A perfect, peaceful place so unlike the reality that had been haunting him these days. The ceiling fan of the saloon that turned in lazy circles became an eagle, wheeling on a Rocky Mountain breeze. As long as Janna was around, he was in heaven. He clenched his fists against his sides. He was in the Blue Moon Saloon, damn it. And he was not going crazy. Not yet. Whether your are a new or established writer, So You Want To Be A Paranormal Romance Writer answers many questions faced by today’s writer! 40 questions were posed to fifteen authors, each drawing on their years of writing and business experience to give insightful and honest answers. 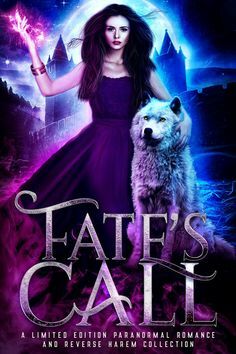 If you have ever dreamed of becoming any kind of writer- especially a paranormal romance writer- then learn from some of the best! So You Want To Be A Paranormal Romance Writer is your guide to making your dreams of being a writer a reality! So You Want To Be A Paranormal Romance Writer will be available for purchase starting Monday, June 26th from Paranormal Romance Lovers (http://pnrlovers.com/want-paranormal-romance-writer/) for the sale price of $2.99US! The book will be available in ePub, Mobi, and PDF formats. The book will be available from Amazon, B&N, Kobo, and other online book vendors starting today for $3.99US. Question 15: What Do You Look For When You Are Searching For An Editor To Edit Your Manuscript? “In brief, I think it’s best to go with an editor who comes with a personal recommendation. “Originally, I carefully researched editors I found online. My criteria were people with degrees in English or something similarly applicable plus experience editing in my genre (PNR). 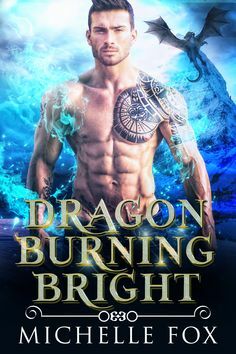 I found a highly rated editor with a strong background that included working for Harlequin, so I went with her for a developmental edit (after trying her free sample edit of an excerpt). “Recommendations are always good. But mostly I need to know that their schedule works with mine. “I can’t give editors solid dates weeks ahead of time. That would mean I’m working on THEIR schedule and not mine. I need an editor who doesn’t need more than a week of lead time, and then can get that sucker edited in 5 days tops. “Someone who works during the week as well as weekends. They need to be thorough which means charge what you need to make sure you do a good job. New Paranormal Romance Releases from Tricia Barr, Rinelle Grey, Cara Wylde, and More! New Paranormal Romance Releases from T. S. Ryder, Abella Ward, and More!